Escape the startup grind at a beautiful resort in Carmel Valley. Located on 850 acres in beautiful Carmel Valley, CA, the property includes many trails, beautiful lakes, lush gardens and rolling hills. The Quail Lodge provides an awe-inspiring, natural setting for fnSummit. Form meaningful relationships and re-energize before year’s end with distinctive farm-to-table meals, keynotes and guided discussions, real fireside chats, hiking, sunrise yoga, pool time and multiple wine tastings. Explore the topic of growth, both as a founder and for your startup. The following speakers will share wisdom gained while acquiring real world experience over the past year. 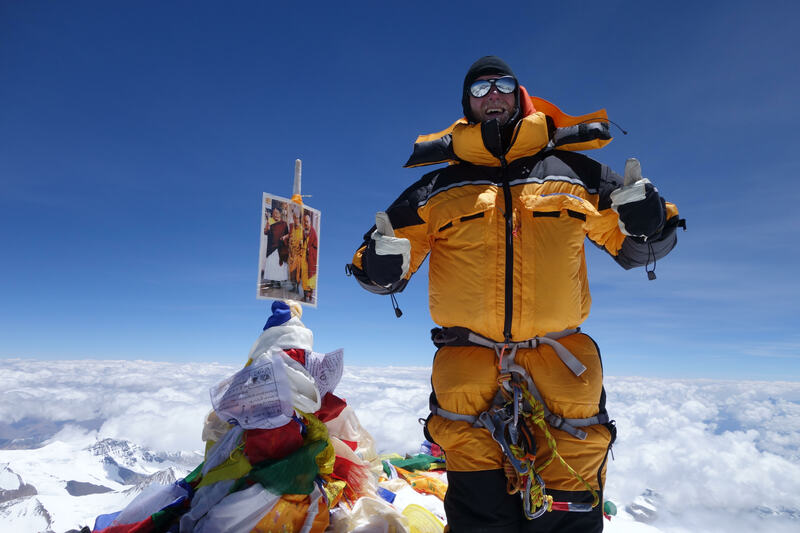 Featuring a fireside chat with James Brooman (June ’16 Cohort) who summited Everest this year without supplemental oxygen. Founded Bright Funds to empower everyday donors to become strategic philanthropists. Co-founded the Board of Directors of Startup & Tech Mixer, and OutServe as a LGBT employee resource group serving thousands of U.S. military personnel. Raised $25M+ through Series B funding rounds and grown Fortune 1000 customer base. Former Brocade and Applied Materials. Holds 6 patents. Managed partnership deals in $100M-$2B range. Invests in both Consumer and Enterprise sectors. Advisor to Richard Branson, Stanford Technology Ventures Program and UC Innovation Council. Formerly SVP Marketing at Ticketmaster, VP Marketing at Socialcast (acquired by VMware), Director Product Marketing at Adobe. Speaker, coach, consultant, and author of Mission to Million$ – Taking Big Ideas and Making Them Reality. 20 years of experience leading, facilitating, teaching, designing, and auditing programs nationally. financings, mergers and acquisitions, and general corporate governance. Scaled to one of the largest winery directories globally with over 20,000+ wineries across 47 countries. Co-Founded ESM Solutions, a workers comp and risk management company. 10 years in private equity experience. Built leading on-demand financial workforce with thousands of talented professionals. Former Investment Banker who has summited Everest without supplemental oxygen, ran across the Australian Outback unassisted and biked from Alaska to Chile. Fomerly VP at Paycycle, VP Product Marketing at Adobe Systems, Direct Marketing Manager at Claris Corporation. Author of Fall book, Backyard Activist, 21 Tips to Mobilize your Community, your Town, your World. Partner at In-Q-Tel (IQT)— invests in new technologies to improve U.S. security. Four time entrepreneur and now an independent angel investor in early stage technology companies. Scaled to one of the largest winery directories globally with over 20,000+ wineries across 47 countries. Created LEFT as a home for innovative ideas such as YO!, WAVE, Left Travel and Villa (Acquired for $3M). LEFT is also known as one of the best places to work in BC. Award winning physician, health leader, and tech CEO. WXN’s Top 100 Most Powerful Women in Canada. Raised $40M and scaled Fronto to 80 employees and 18M downloads in 20+ countries, by figuring out how to put ad revenue into your pocket. Grew FN to 600+ members globally. Formerly AllDorm.com and Director of Center for Innovation & Entrepreneurship at Santa Clara University. 40 Under 40 in Silicon Valley. Hacker, Angel, Adviser & Founder who IPO’d his last startup, OtherLevels, in 2015 and is currently working at Twitter. 15 years real estate development, design, construction, property management and finance. IPO of PropertyConnect on ASX. Started career as a laborer and carpentry apprentice. Engineer by training, entrepreneur by nature w/ 20 yrs and 6 startups— one of which was sold for $750 million. Author of 4 books including The Entrepreneur Ethos: How to Build a More Ethical, Inclusive, and Resilient Entrepreneur Community. Focuses on adoption, growth, and evangelism for Cisco’s collaboration platform Cisco Spark through API integrations, business workflows, and the Cisco Spark for Developer platform. Former Founder of Couchsurfing ($25M Raised, 15M Customers Globally), investor, advisor, and strategic general management professional with a passion for both consumer and SAAS. Andrew is the Founder of NoiseAware.io: Noise monitoring for property managers and Airbnb hosts. Raised $1M in funding and serves as FN Regional Chair in Dallas. Startup Boost is a global tech startup pre accelerator aimed at working with great early stage entrepreneurs to prepare them for accelerator programs, seed investment and revenue through a six week part time program. fnSummit is made possible thanks to the generous support of our partners. Learn more about our partner program here.